← An Americanism in the 1960s? Why? And nor – and neither? The use of and nor was already commented on by Noel Osselton, in his interactive language squib “Points of Modern English Syntax” (1981), published in English Studies (item196). But this was in 1981, and we are thirty years on now. Any comments on the usage? 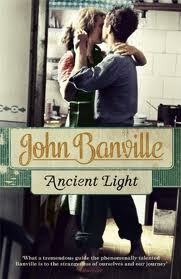 She was not a native of our town – … – and neither was her husband (John Banville, Ancient Light, 2012, p. 56). Btw, great news: English Studies has been digitised down to 1975 (that is, in as far as the library at the University of Leiden gives access to it). This entry was posted in usage features and tagged and neither, and nor, Banville, English Studies, P.D. James, usage. Bookmark the permalink.